The next major event in the UN policy making calendar is the Rio+20 Summit, which will take place from 20 to 22 of June 2012, 20 years after the first Earth Summit. Proposals under the new concept of sustainable development. The full implementation of Agenda 21, the Programme for Further Implementation of Agenda 21 and the Commitments to the Rio principles, were strongly reaffirmed at the World Summit on Sustainable Development (WSSD) held in Johannesburg, South Africa in 2002. The concept of sustainable development emerged in the above mentioned conference has continuously evolved. Two organs of the UN were specifically mandated to work on the concept and its concrete implications: United Nations Environment Programme -UNEP- (for the governance side) and the Commission on Sustainable Development -UNCSD- (on thematic issues). However, many other UN agencies and intergovernmental organizations are also involved in the debate. 1. The Commission on Sustainable Development created in December 1992. 2. Preparatory meetings of the UNCSD are being held: preparatory Committee for the UNCSD and two intersessional meetings for the UNCSD. 3. The 16 August 2010, a new panel has been established by the United Nations: the Global Sustainability High Level Working Group, led by the Presidents of Finland and South Africa to promote a global plan for sustainable development, as well as addressing climate change. This Group shall submit its report by the end of 2011. It is expected that this report will set the agenda for the Rio+20 Summit. There will be over 20 meetings throughout 2011-2012 contributing to the formal preparation process of the Conference in Rio next year. UCLG World Secretariat has identified the key meetings to influence the negotiation process towards Rio+20 (see Agenda). To all members: please inform us if you plan to attend international meetings related to Rio+20 Summit and don’t hesitate to share with us the messages you would like us to take into consideration. For more extensive information on the process, UCLG members can contact Mrs Poisson: n.poisson(@)cities-localgovernments.org. UCLG will strongly advocate for a new institutional framework for sustainable development, one of the two main themes identified for the discussions in the framework of Rio+20 process. We do believe that building on the Agenda 21 and its successful implementation at local level, the outcome document from Rio+20 Summit should entail a specific chapter devoted to local and regional authorities. Local and regional governments’ voices are to be heard in the debate on international governance. The importance of good governance mechanisms, based on transparency, participation and accountability is to be put before the international community. Greater sustainability is achieved through bottom-up approaches, which help to set priorities and resources allocation. National strategies for sustainable development should take into account the local realities and trends with the active assistance of local governments. In that sense, looking at how the new governance framework for sustainability should be shaped, UCLG, along with the other networks of local authorities and stakeholders, is convinced of the necessity to go beyond the clusters and sectoral approaches. Based on a growing understanding that the world is not only facing economic, social, or environmental challenges – the three pillars currently acknowledged as the components of sustainable development – but that creativity, knowledge, diversity, and beauty are the unavoidable bases for dialogue for peace and progress as these values are intrinsically connected to human development and freedoms, UCLG Executive Bureau adopted in November 2010 the policy statement on “culture as fourth pillar of development”. 2. ensuring that culture has its rightful place in all public policies, particularly those related to education, the economy, science, communication, environment, social cohesion and international cooperation. Climate Change has great social impacts that are felt throughout the world. Local governments, particularly in developing countries where Climate Change is making itself most drastically felt, are witnessing first-hand the need to address both climate mitigation and adaptation via pressing development challenges that they cannot afford to ignore. After years of advocacy of local governments and their networks, it is widely recognized that well-designed and well-governed cities can lead the way in lowering national emissions and that local governments should be recognised as key players in the implementation of climate strategies, including mitigation and adaptation efforts. Indeed, we are convinced that a preventive action coordinated in advance, regardless of investment costs, would enable to reduce drastically the human and financial costs. And that capacity building and training programmes are needed at the local level in order to support them in integrating urban risk in the local strategies and guarantying safe land and infrastructure to the poor populations. Disasters risks reduction strategies have to be considered at national and local levels as an investment not as a cost. Panama City, 1-7 October, Third intersession. Durban, 28 Nov- 9 Dec, COP 17. 4. UN conference Rio+20 taking place in Rio de Janeiro from 20 to 22 June 2012. Latin America Regional Preparatory Meeting to be held for the Latin American and Caribbean Region in Santiago, Chile, from 7-9 September 2011. Asia-Pacific: Regional Preparatory Meeting to be held in the Asia Pacific Region at the ESCAP, Seoul, Republic of South Korea, from 19 – 20 October 2011. Africa: Regional Preparatory Meeting to be held in Addis Ababa, Ethiopia, from 10 to 14 October 2011. 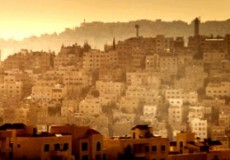 Arab region: Regional Preparatory Meeting to be held in Cairo, Egypt, from 16-17 October 2011. Europe: Regional Preparatory Meeting to be held for the European (ECE) Region in Geneva, Switzerland, from 1-2 December 2011. A regional meeting organised by Durban municipality and SALGA is foreseen to take place in late September in South Africa (TBC). A regional meeting is organised by Region Rhône-Alpes in collaboration with NRG4SD, the climate group, ICLEI Europe and CEMR and will take place in October,21-22 in Lyon, France.